Tracey A. Medeiros, MS, CCC-SLP is a Speech-Language Pathologist for the Department of the Navy. She specializes in pediatrics and autism, and in her current capacity, Ms. Medeiros provides classroom education for teachers, offers therapy for preschool kids, and organizes Sure Start and community outreach programs. She is also responsible for conducting speech and language assessments, helping military personnel, and working with Army and Air Force personnel. 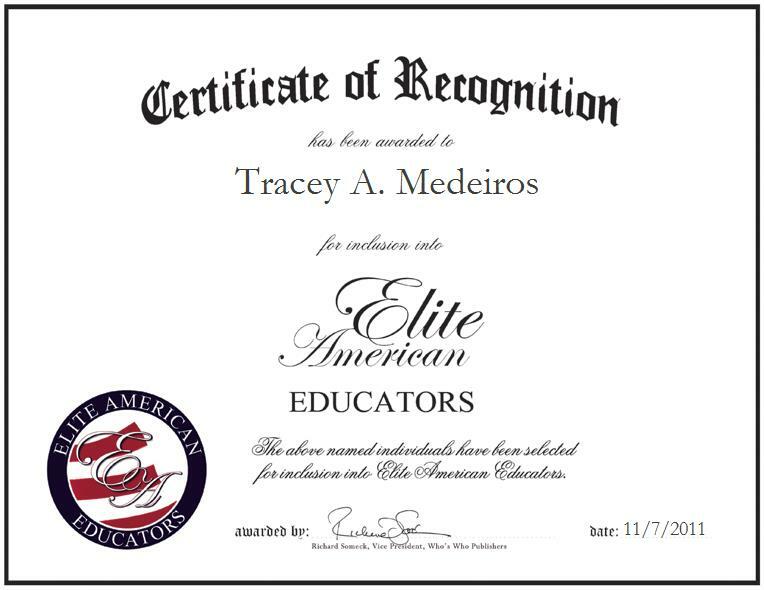 With more than 28 years of professional experience under her belt, Ms. Medeiros shines in her chosen career field, and after having received an ACE Award for Continuing Education in 2002, she continues to strive for excellence in her every endeavor. She remains abreast of trends and developments as a member of the American Speech-Language-Hearing Association and Phi Delta Kappa International, and she supports such worthy causes as the Cancer Research Institute.